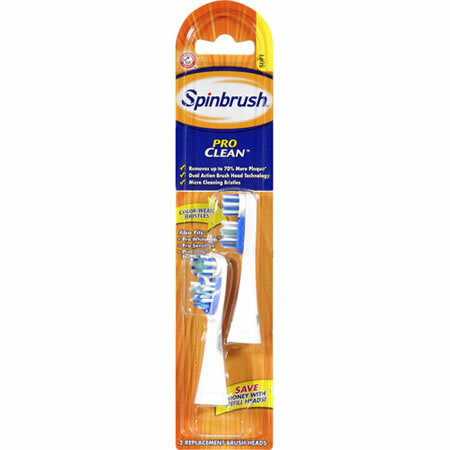 Pro Clean Replacement Brush Heads are designed to remove up to 70 percent more plaque with extra soft spinning brushes. These Spin Brush Heads are offered in a set of 2 for your convenience. These Toothbrush Heads also fit Pro Clean Recharge, Pro Clean 2-Speed and Pro Whitening toothbrushes. These Pro Clean Replacement Brush Heads are equipped with two moving Spin Brush Heads that provide dual-action brush head technology. Important information: Due to normal wear, it is recommended that the toothbrush head be replaced after three months of use.